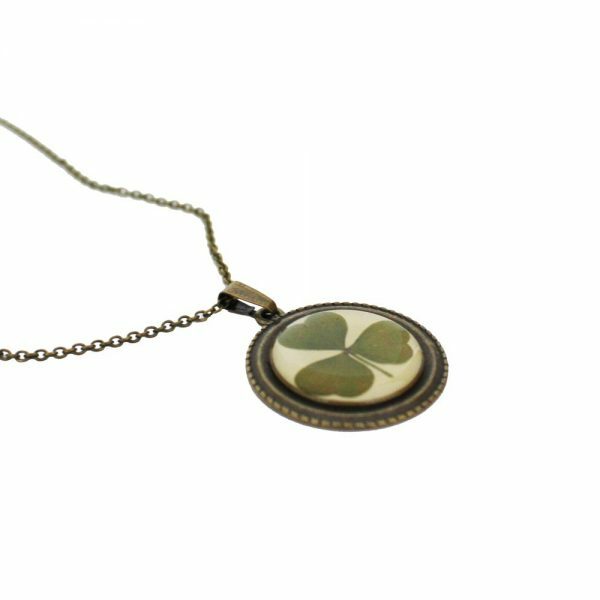 This Irish Shamrock Vintage Pendant is from a range of handcrafted Irish Botanical Jewellery. 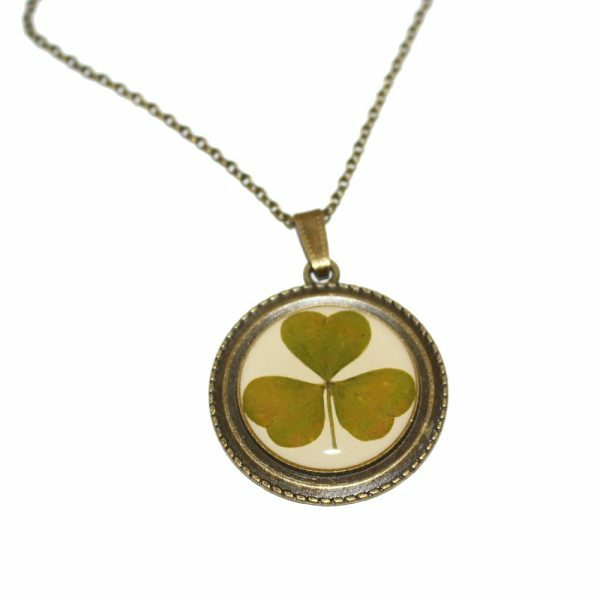 A beautiful antique style pendant with an actual dried mossy green Shamrock leaf displayed in a vintage brass coloured pendant. 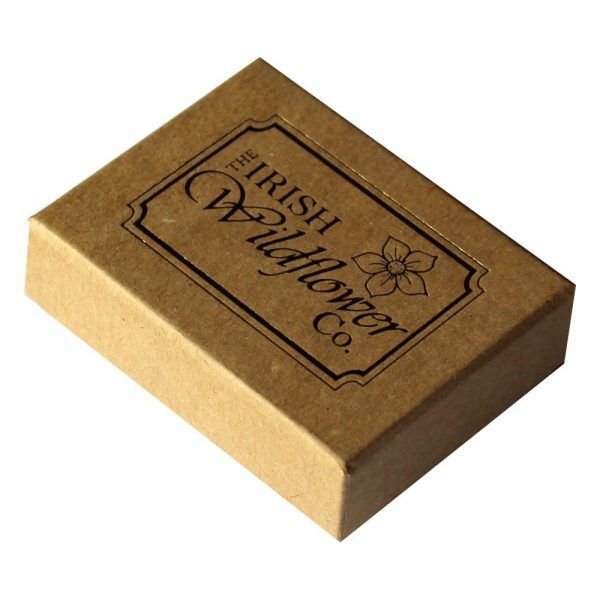 The Shamrock is the most recognised symbol of Ireland and this Irish gift will be loved by people who love Ireland. Presented in a sweet Irish Wildflower Co. gift box and with an information card on Shamrock. The Irish Shamrock Vintage Pendant is something really very special. The wild shamrock leaf of this Irish Shamrock Vintage Pendant is gathered from the flood plains of the River Liffey. The Shamrock is traditionally pressed which turns the leaves a lovely mossy green colour. 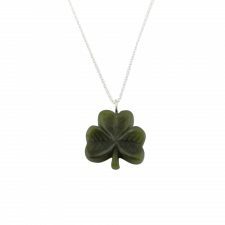 The Shamrock leaf sits on a cream background and is secured behind the glass of a lead and nickel free metal alloy pendant. 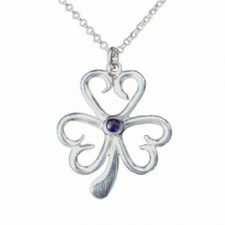 Meaning: Young Clover; Seamair is the Irish word for clover and óg is the Irish word for young. The Shamrock is a 3 leafed clover, somehow it is often mistakenly confused with the rare four leaf clover! 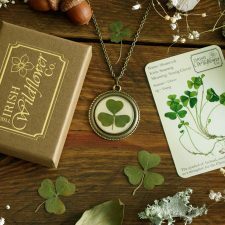 It is said that Saint Patrick, who is the patron saint of Ireland, used the three leaflets of the Shamrock leaf to explain the Holy Trinity when he was trying to convert pagan Celts to Christianity. Please note: due to the light and screen setting differences between devices, the colour of this Irish Shamrock Vintage Pendant may actually be slightly different from the image provided. The Irish Shamrock Vintage Pendant has a timeless style for all ages, fabulous Irish Jewellery Gifts for Women. 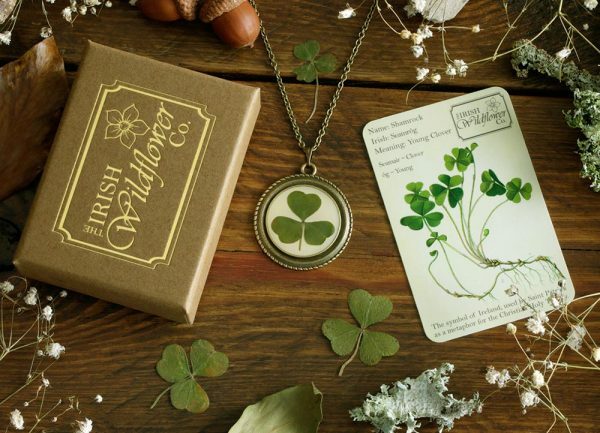 The Irish Shamrock Vintage Pendant contains dried botanical specimens and when not worn should be kept dry and stored away from direct sunlight. 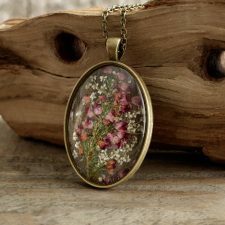 Beautiful Vintage Jewellery Gifts for Women, made in Co. Kildare, Ireland.